Wake to nature sounds, radio or alarm. Create the perfect sleep environment. Sound Spa Classic filters out background noise as you read, work or study. At night it helps you fall asleep faster and wake completely rested. 6 Nature Sounds: Ocean; Summer Night; Rain; Rainforest; Thunder; Waterfall. 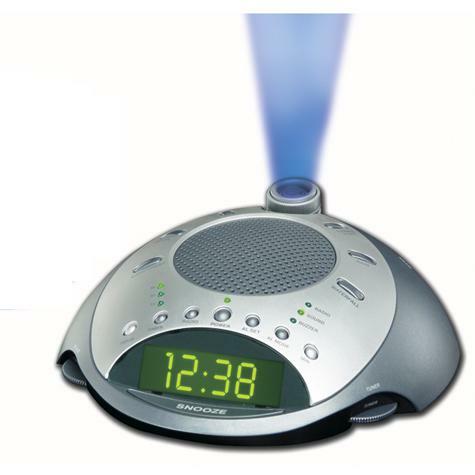 Adjustable angle projection clock with 180 degree rotation. 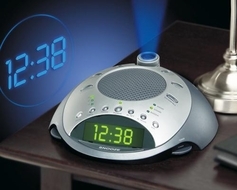 AM/FM clock radio with LCD display with snooze function. Large digit green LED clock display. Due to continuous product improvements, the picture on the carton may differ slightly from the actual product. This product employs a UL listed adaptor.